We all have those mornings from time to time where we get up on the wrong side of the bed. Maybe its because we didn’t have enough sleep, or we wake up stuffed up from allergies, or maybe its that annoying cat or dog bugging you to go outside. Whatever the stimulus is, we need to be careful about how we allow it to affect us. If we stay in that grouchy state and start to allow that to taint the words we say, we can start to bring others around us down to, and before you know it (if not prevented) we enter a spiral downwards. I speak of this today because I was guilty of allowing myself to enter the grouchy-zone this morning. Allergies were at an all time high and I had our little dog, Dolly, whining me out of bed. I started to get a little grouchy about the little things and even said the word “hate” a couple of times when describing little things like a malfunctioning toaster oven. I pulled myself out of the tailspin of destruction by taking a break from everything and getting away to a quiet place. I prayed and asked for forgiveness from God and started to focus on things I was grateful for. Very quickly I pulled out of the grouchy-zone into the grateful-zone and my attitude was now full of gratitude. And in several places in Proverbs it talks about how words can be damaging or creative depending on how they are used. Jesus also spoke about “from the mouth the heart speaks”. So, if today happens to be a day where you run into the little things that could put you in the grouchy-zone conquer them by building an attitude of gratitude. Be blessed today friend and stay away from the grouchy-zone. Have you ever had a case of the groucies? Tell me about it in the comments? 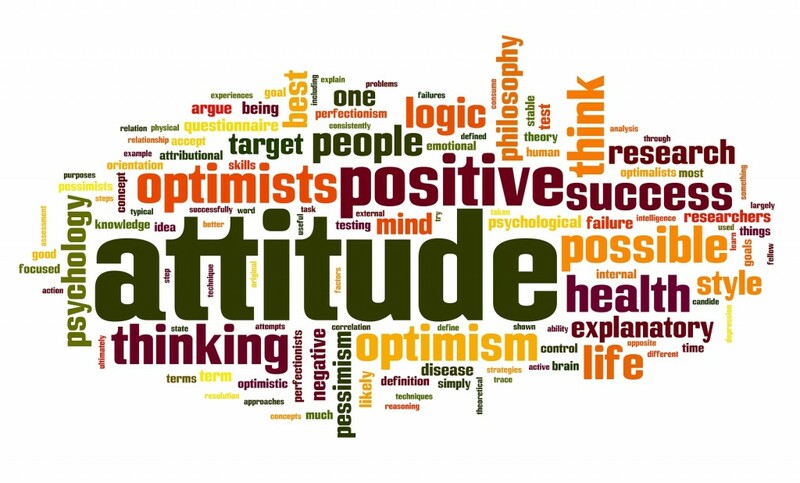 Tell us what you do to deal with trying times when your attitude needs a check in the comments below. Next: Empty calendar days are good for the soul & weight loss!